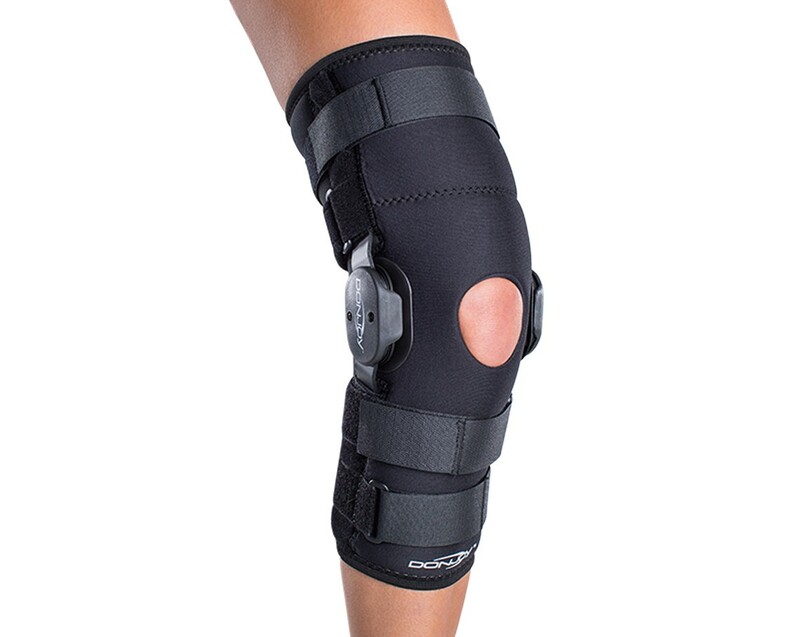 Durable and breathable, The DonJoy Playmaker knee brace is designed to help promote stability, reduce hyperextension, and help manage mild to moderate MCL, ACL, LCL, PCL and LCL injuries, to help keep you in the action. The Donjoy Four-Points-of-Leverage System and polycentric hinges provide functional, unrestricted movement and light to medium support for active individuals who enjoy both non-contact and contact sports. Available as a sleeve or a wrap-around brace, the Playmaker lets you choose the style most comfortable for you. 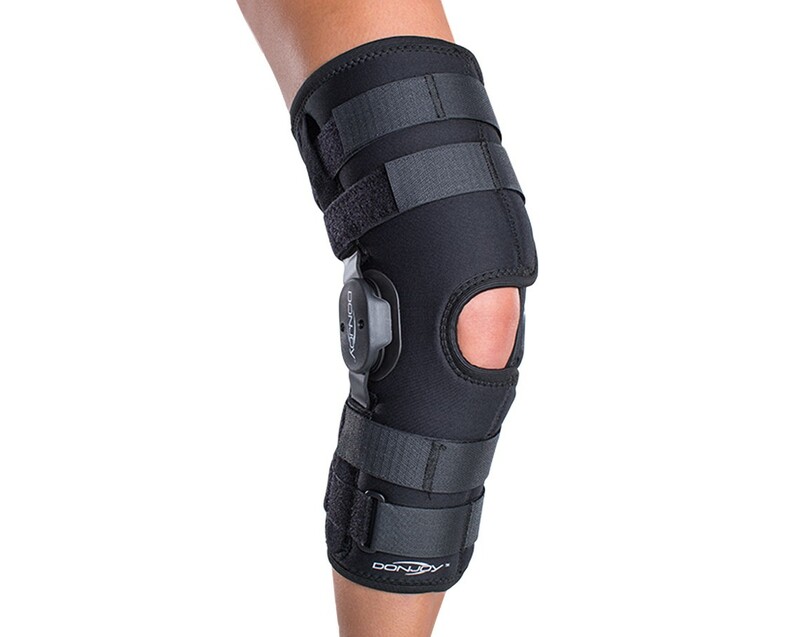 I was a bit hesitant to order this brace new, because the price was a bit high, but needed something very adjustable and sturdy for my left knee. I had Polio, and my left leg doesn't have much muscle, so running or jogging was impossible until I found the right treadmill. This jogging ended up putting stress on my knee. 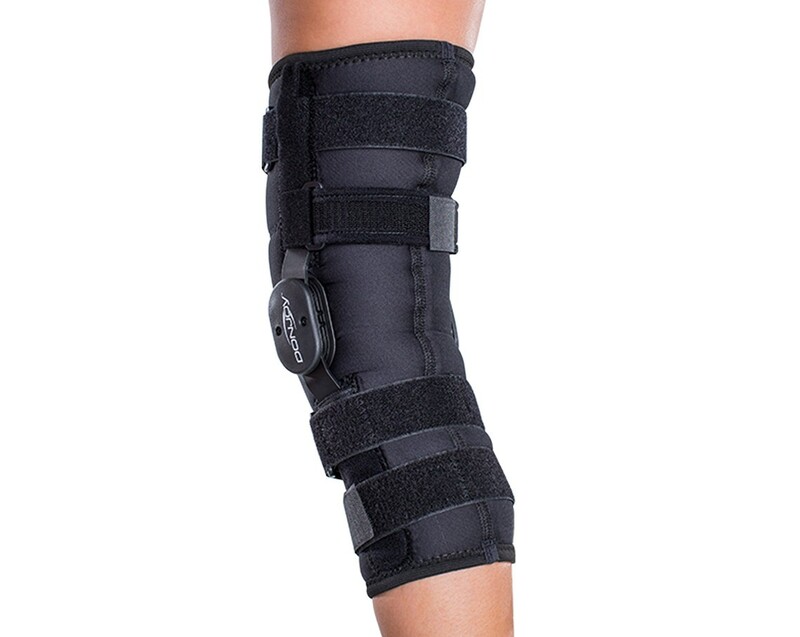 I needed to find a brace that would minimize this, and the Playmaker knee brace is perfect. Great support, and flexibility. 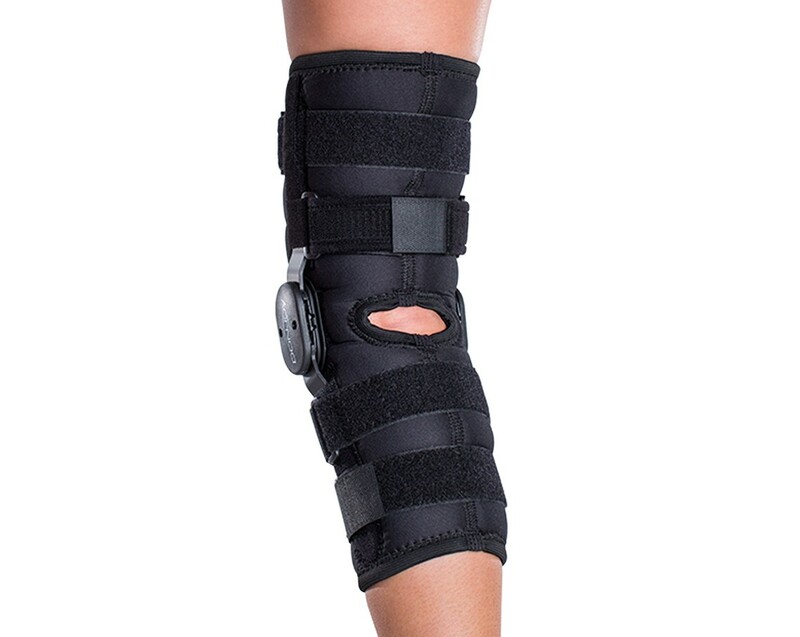 I like this brace a lot. Cons: The stitching started coming out at the edges. I wish I had bought this brace sooner. I tore the meniscus in my knee and struggled to run on it for months before giving up and getting surgery (partial menisectomy). After surgery it got worse - i could not run at all without extreme pain. I kept trying though, and eventually got a second tear. All in all, it was almost a year of not really running. The surgeon said I'm just old and the meniscus too unhealthy and my running days were over. I decided to spend the money on the brace in a last ditch attempt, not really expecting it to work. It DID. I can run with the brace on. It took some getting used to, and I am much slower with it on, but I can run. I've been running with it for several months now, and have had no pain while running in the brace and no new tears. I even ran without it one day and had no pain. I wish I had gotten this brace when I first hurt my knee, or at least right after surgery. At the very least, I wouldn't have had to go almost a year without really running. I got the playmaker with wraparound, no donut, spacer material, size small. I am 5'2", about 130lbs, muscular thighs, and it fits perfectly. No slipping, even when I sweat buckets, whether worn over pants or on the skin. Before I bought this one, I tried a smaller, cheaper brace, and was wearing that when I got the second tear. 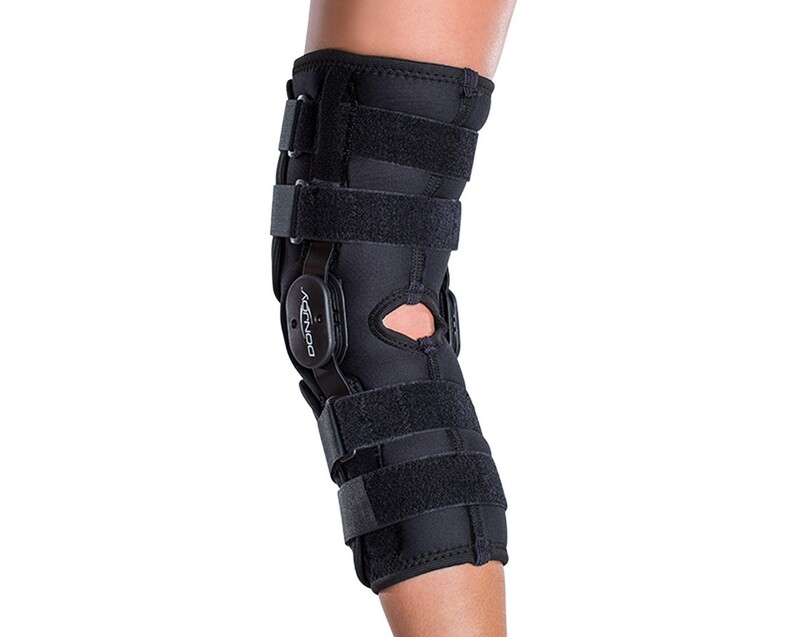 I so wish I had gotten this brace sooner. Pros: I can run without pain, even with a meniscus tear. Cons: It took some getting used to - first couple of runs were uncomfortable and I had to do a lot of adjusting, and in the end just got used to it. I'm much slower with than without it. 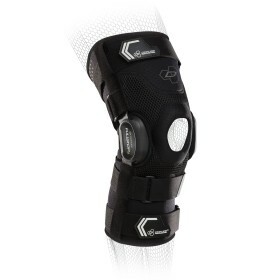 I really like the Donjoy Playmaker Knee Brace. I have a torn meniscus, cartilage damage, and a slew of other troubles in my knee. It lets me stay active while I trial PT and rehab. Pros: Multi adjustment points, compression, works under clothes and over clothes. Flexibility- I can ski in it. Cons: Have a hard time keeping the brace up, especially over clothes. Even pulling the straps really tight, it slips. I think all braces are like that though. I started using the Playmaker (wrap version) this ski season after an ACL injury and it's made a big difference - it stayed secure, the support was great and it never got in the way of any movement. It gave me the confidence to bend and push harder when needed it and my knee hardly ached even after a tough day. I stand 1.58m and bought a Small Size and the bottom of the brace almost touches the top of my ski boot, so it may be an issue for a shorter person.